Huddersfield’s Daniel Lloyd has his sights firmly set on securing a vital haul of championship points for his BTC Norlin Racing Team’s title hopes this coming weekend, as the Dunlop MSA British Touring Car Championship heads North of the border for rounds 22, 23 and 24 at Knockhill Racing circuit (August 25/26). 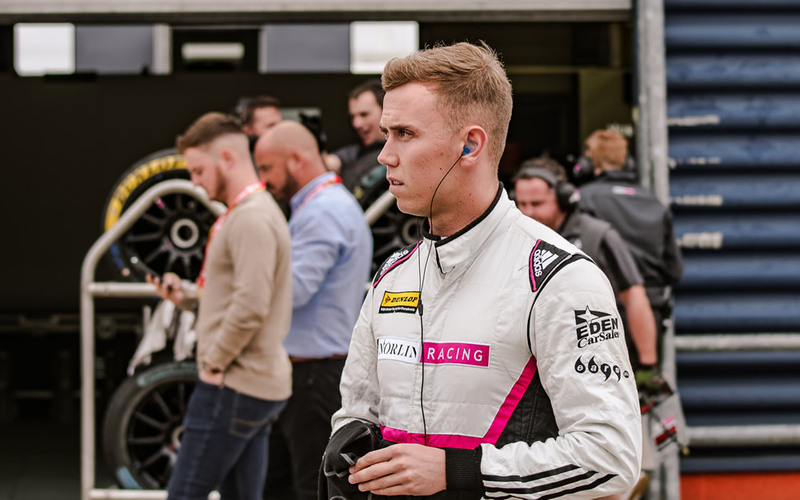 26-year-old Lloyd is eager to bounce back from a tough Rockingham meeting just two weekends ago that saw his unquestionable pace go unrewarded after contact ruled him out of a strong podium chance. 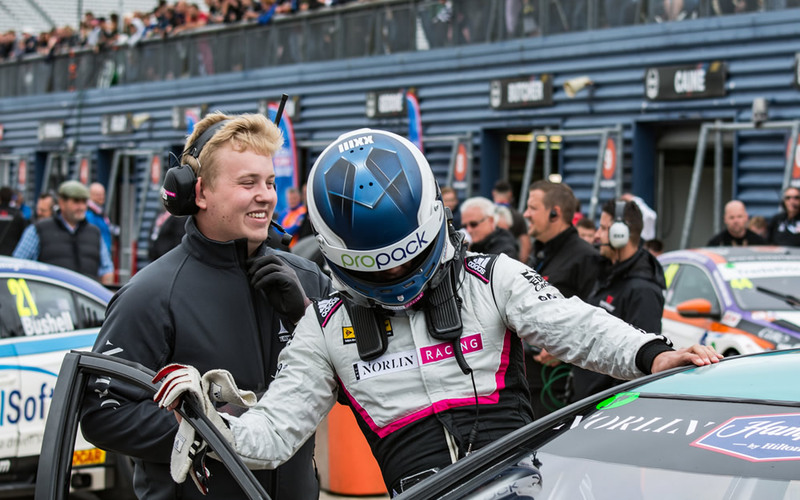 After securing a maiden BTCC race win for himself and the BTC Norlin team earlier in the season at Croft, Lloyd’s convincing qualifying performance last time out has also marked him out as a credible contender on the 31-strong car grid. Having missed the opening three rounds of the season, the Yorkshireman is sadly out of the championship running for either of the drivers’ titles. However, his stellar performances from the last four events have helped to propel the BTC Norlin Team into contention for the Independent Teams’ honours – with the squad currently 3rd in the standings and just 33 points off the leaders with 9 rounds remaining. One of the most challenging circuits on the BTCC calendar, Lloyd has a great track record on the tight and twisty Fife track having most recently secured pole position and taken two race wins in the TCR UK Championship back in May. The 26-year-old racer remains level-headed however, heading into this weekend’s triple-header as part of the world-class BTCC grid, with three strong top-six finishes high up on his agenda. “I’m really looking forward to this weekend;” commented Lloyd. “Knockhill is an incredible place to race at, it demands your full respect and most racers love going there. “Although I took two wins here in the TCR Championship earlier in the year, I have to be realistic going into this weekend. We’ve had some great results, with my win at Croft and my team-mate Chris’ taking his first BTCC win at Rockingham. We’re definitely getting closer to where we need to be but we’re still playing catch up to others in terms of testing and seat time. Rounds 22, 23 and 24 of the Dunlop MSA British Touring Car Championship take place at Knockhill Racing Circuit on August 25/26. Saturday (August 25) hosts two free practice sessions at 09.50 and 12.30 before the 30 minute qualifying session at 15.25. Sunday’s (August 26) triple-header of BTCC races are scheduled for 11.50, 14.25 and 17.20 with live full race day coverage broadcast on ITV4, ITV4HD and online at itv.com/hub/itv4 from 11.00 -18.15. Contact daniellloydracing@googlemail.com for more information on the exciting benefits a partnership with Daniel Lloyd Racing can offer your business.